Unknown10:43 PM 7 sweets for free! Cyclone! That's what MSI Wind's model name must be! This teeny gadget is sold out everywhere, making the Asus Eee series and even HP mini cry! What's so good about this cyclone is that it has the most "gnarly" specs a mini PC could have! So Vinz and I didn't hesitate to buy one for ourselves EACH! So how then does this compare to my previous laptop? Of course my Compaq Presario C700 has a 15" screen, gnarly features, webcam, glossy high definition screen, built-in mic also and is good for photoshopping, excel-ing with many columns involved, viewing webpages and many others... But my usual problem is that it hurts my back if I want to carry it along anywhere. Now see in comparison how MSI solved my back problem. 2 MSI winds = 1 Compaq Presario. Yeah, MSI is really handy and portable. But I'm keeping my old laptop (not really old because I bought it this year also). I'd just rather buy this MSI wind mini laptop for Php 26k than buying another SmartPhone /PDA phone / iPhone which costs about the same price minimum but the really good ones like HTC costs around Php 40k! I've been waiting for Xperia also since January 2008 (when this was announced), but I'm quite dissappointed since the release date would be next January 2009. 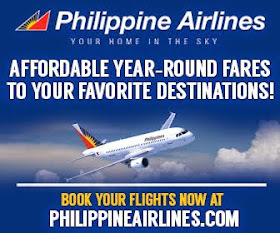 I don't know if it's worth the wait and it would also cost aroung Php40k! It's like buying another high-performance laptop/ mega-nice desktop unit. I have been using it for 4 days now and I am telling you... It is a handy dandy iCandy companion! But it's speed upon boot and shut down and everything else is A-ok! I've been viewing web pages generally in full screen and it's just so light that it could fit it in my baggie! It doesn't hurt the back of those with scoliosis like yours truly. And also, it's completa and it has everything that my 15" widescreen laptop has (&even more in some cases perhaps). The only con I could think of is that it has no DVD rom optical drive & writer! But, as compared to all mini PCs... this difinitely qualifies as a SUPER CYCLONE that blows the Phil's gadget industry away! So I'm here advertising once again for something for free -- sweatcase. But anyway, I don't care... I just want to spread the word to my friends the good experiences I have so that I could share and enlighten them too! So what are you waiting for? Buy one already!!! I am being the devil here tempting you all to buy buy buy! Until next time readers, this is your Blog Ambassadress saying "Mabuhay!" Very nice portable gadget. You're right. Given the functionality, this has way more value for money than the XPERIA. You'll still want to get one when it comes out though. Hehe. OMG don't say the magic word swt Oh friggin no you know me well enough to have said that!!!! Daaaaang! This is more personal than writing a review performance about your purchase on MSI. Is that 8" or 12"? As for your C700 - it's actually can't do much. If not mistaken it's a dual core. Just good enough to do simple stuff like business stuffs. So what is your model? C773EA / C773EM / C772EM / C765EM? Hmm.. but this MSI Wind is kinda lookin nice but the hdd is small - capacity of 80 gb? I guess that's not so sufficient. i say minimum of 160gb. Does it comes along with XP or vista? If it's vista, 512mb and 1gb is way bottom. It's going to be lag. You need at least 2gb or 4gb. Best Windows vista to be installed would be 32 bit. As for 64bit it's still unstable and lag. I guess this MSI Wind PC is pretty much of RM 1,799 or less. But i did say the Compaq is better one. Much more durable than MSI. Hehe.. how i know this stuff? I do reviews on laptops too.. and other hardwares.. provided im testing it then only review them haha..
Well my laptop is the HP Pavilion Tx1316 - was last year's model. Now that this year has 2032 and 2029, sigh....i want them all.. lol.. I'm sorry to say this but the MSI Wind PC isn't really a high performance notebook. But the verdict is it's just something small and simple. 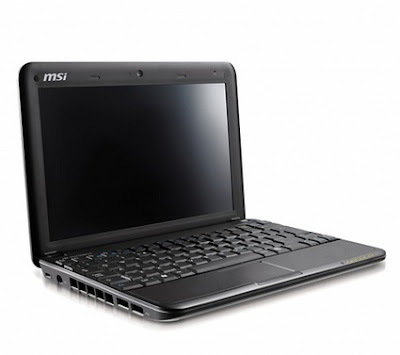 It's just something the MSI wanted to challenge with Asus Eee PC. Since both MSI and Asus are fame for motherboard chipsets. Compaq is better ever since HP bought them up. Actually notebooks with screen sizes 7" to 9" is actually quite difficult to see. It's actually kinda reminded me of a baby organizer. Now that you got that HP mini coming up with great specs. When Sony first released it's model: Sony Vaio TZ series - it was 11.1 inch with bad specs but still there are some idiots buying them. Probably for collection? Haha Jorwee so nice of you to have dropped by. Yep yep it isn't everything! And it isn't definitely a substitute for our desktops and high performance laptops. But this small machine, in my opinion, is the best among mini PCs so far! 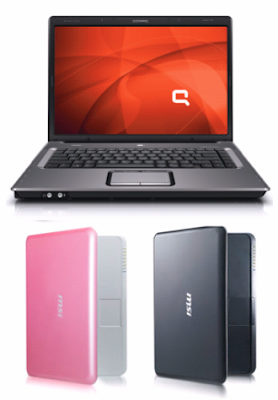 and the 80 gigs is extra big enough as compared to the Asus eee series and even ACER Aspire.